A hunter devised and placed carnivore traps to please his neighboring farmers. In these traps, a predator might crawl in but could not turn around. The only possible escape would be through a tiny door on the top, wired shut. 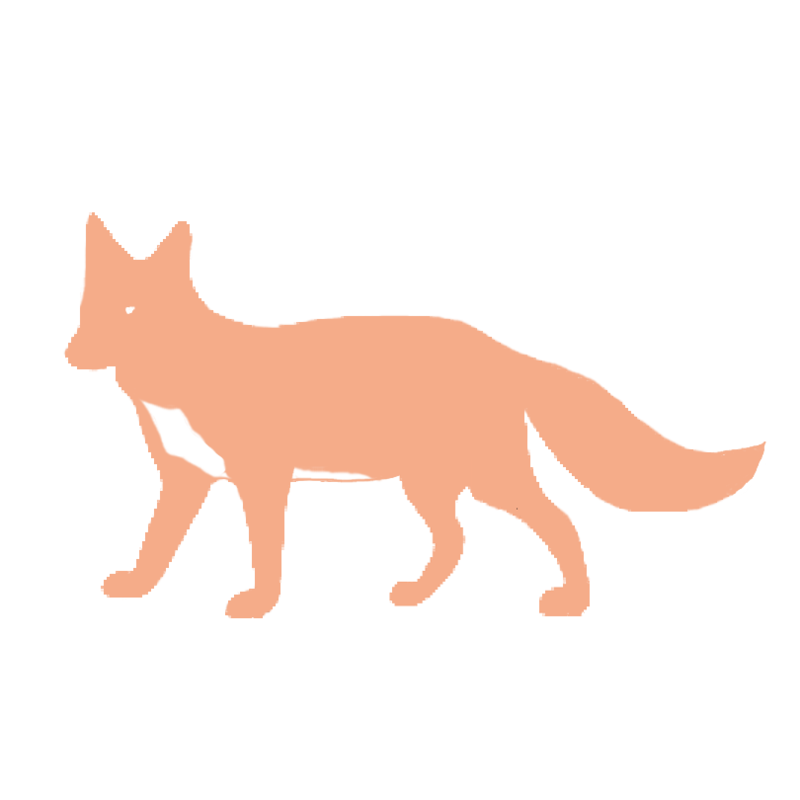 It happened that a fox cub wandered into one such trap, lured by the bait of a dead rabbit. After it ate what it could, the cub realized that it was too big to get out and it howled. Nearby, a bobcat crept into a similar trap and it protested mightily. Led by the crying sounds, the cub's mother found them. She studied her cub's trap until she saw a way to effect a rescue. She set her teeth to the wired door hinge. It cut her gums as she chewed through it. The door at the top of the trap dropped open. Unfortunately, her cub could not climb up. She strode into the trap herself, lifted her cub, and pushed it out of the trap. "Thank you, mother," said the cub when it had calmed. "Can you get out?" "Trapped!" howled the bobcat nearby. "The hunter will come and kill us." "Now I am caught, yes." There was not enough room for the vixen to turn so she lay down where she was. Her cub rubbed his nose against hers through the trap bars. The bobcat continued to bemoan its fate. The fox was calm. "I knew this was a trap," she said to her cub. "Because of my desires, I walked into it. Now I can't escape. But can I claim to be surprised? No. So it's better that I contemplate how wonderful life has been to me so far. I would like to spend some time, before the hunter comes, in peace with my cub rather than torment myself with regrets like that bobcat. Life ends soon enough. Let's appreciate it while we're able."